Something is rotten in the province of Alberta! And it’s not just the tar sands. It’s the way political and corporate elites do whatever it takes to extinguish potential threats to the bituminous megaproject. The attempt to protect the tar sands from criticism can be framed as a part of a broader effort to protect the ‘rights’ of private interests to profit from bitumen production. 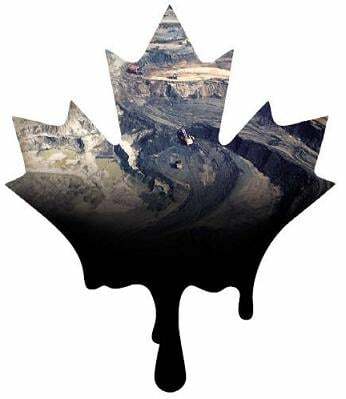 One simple question Canadians should be asking is ‘why?’ Why did an all-party federal committee on the tar sands decide at the last minute not to publicly release a final assessment in this specific investigation? Nikiforuk suggests that the committee did not want U.S. oil customers, industry investors and Canadian taxpayers ‘to know’ that the resource is being severely mismanaged by the federal government. In short, the 300-plus pages of evidence compiled during the committee’s two-year investigation clearly point to the failure of government agencies in fulfilling their responsibility to protect the Athabasca and Mackenzie watersheds in Northern Canada. However, a more sinister reason behind the ditching of the parliamentary water report might be considered. After all, the hundreds of pages of evidence compiled by the subcommittee are available to the public. Further, environmentalists have been hollering at the top of their lungs for years about the impact of development on water. In other words, most Canadians already know that the Klein-Stelmach and Chrétien-Harper governments have consistently failed to protect the environment. Could it be possible that the report was killed because it would have given legal recourse to intervene in Alberta bitumen production? Is it possible that the evidence makes such a solid case for intervention that the Harper government would be teetering on the edge of illegality by failing to put a halt – at least temporarily – to bitumen production? While the tar sands constitutionally fall under provincial jurisdiction, there nevertheless exist multiple avenues through which the federal government could intervene. The feds have jurisdiction over the regulation of greenhouse gases, for example. This raises the question of why they have not already intervened in this colossal energy project, the nation’s fastest growing source of emissions (at 5 per cent of Canada’s total). Second, the industrialization of the boreal forest and the pollution on site, downwind, and downstream has significantly hindered the ability of multiple First Nations to find traditional sustenance on lands belonging to them under Treaties to which the federal government is a signatory. These two fields of intervention are unlikely to be pursued by the Harper Conservatives, given the government’s flagrant disregard for both aboriginal rights and climate change (as displayed by the government’s decision not to sign the United Nations (UN) Declaration on the Rights of Indigenous People and its role in watering down the Copenhagen Accord of 2009). However, the destruction of the Athabasca watershed may offer a more plausible opportunity for federal intervention – particularly because the evidence so clearly demonstrates violations of environmental law, that spill across provincial jurisdictions. In particular, the megaproject contravenes the Canadian Fisheries Act in multiple ways. This Act covers coastal and inland fisheries, migratory birds, and fiduciary responsibilities to First Nations. Further, the Act supersedes provincial legislation. Under the federal rules, it is considered a violation to discharge substances that contaminate waters where aquatic animals (broadly defined) might be found. Any firm can be charged up to $1-million and face three years imprisonment for violating the Act, regardless of their intention. Theoretically, at least, federal water laws could also be used to shut down operations and criminally prosecute polluting companies – if it was clearly shown on the public record that bitumen production was having severe ecological impacts. Severe ecological damage is occurring as a result of both water depletion and water contamination. Tar sands operations have been associated with the depletion of fresh water as a result of withdrawals from rivers and groundwater sources. While government claims that up to 90 per cent of the water could be ‘recycled’ by plants, a study by the Pembina Institute finds that practically none of the water used by industry is actually returned to its natural source. The same study notes that various species of fish – in particular walleye, goldeye, and long-nose sucker – are adversely impacted by unnatural fluctuations in the river’s water level, and this is directly attributed to industrial use. To produce each barrel of synthetic oil, multiple barrels of water are required, and as a result the megaproject uses more than 550 million cubic meters of water each year, 80 per cent of which is from the Athabasca River. In fact, the average annual flow of the Athabasca River has been steadily declining since 1970 – dropping 29 per cent in volume between 1970 and 2005. Expanses of boreal wetlands are also negatively impacted by industrial development, as these important habitats are interconnected by subsurface flows of water. In other words, the impacts of development on fresh water extend far beyond the local area of damage. This has brought extreme danger to multiple species of North American songbirds and waterfowl that rely upon boreal forest ecosystems as breeding grounds – species that are supposed to be protected by the Fisheries Act. The contamination of the Athabasca River is especially problematic because the water flows northward into the Peace-Athabasca and the Mackenzie deltas, which together hold more than one sixth of Canada’s remaining freshwater reserves! The problem stems from the wastewater yielded through bitumen extraction and upgrading operations, which is then stored in large tailings ponds. In turn, the ponds pose a serious risk to all forms of life due to the presence of highly toxic substances such as naphthenic acids, polycyclic aromatic hydrocarbons (PAHs), phenolic compounds, ammonia, and mercury. The ponds are also growing in volume and cover an enormous area – 130 square kilometers of inhospitable terrain. Of course, the ponds leak: one study found that 11 million litres of contaminated water escape from the tailings ponds every day. The contamination of the Athabasca River is a deep concern to ecologists and population health experts. One study found that concentrations of arsenic, mercury, and PAHs in the water (and flora and fauna) downstream from the bituminous sands are higher than normal, and rising, suggesting that the release of these toxic compounds is directly related to development, and may be responsible for the high incidence of cancer and other illnesses in Fort Chipewyan. These findings have been confirmed by Canada’s preeminent water scientist, David Schindler, who says that the PAHs in the water are at toxic levels. Some have suggested a relationship between contaminated water and deformed fish found in Lake Athabasca and the Athabasca River; walleye in particular have been found to have toxic levels of mercury. In short, an overwhelming body of evidence points to the contamination of water as a result of industrial activity in the bituminous sands. The federal government is responsible for protecting multiple forms of wildlife and communities that require clean, healthy watersheds. Yet so far it has opted to protect private corporations, their shareholders, and laissez-faire capitalism. Nevertheless, tar sands operations clearly contravene the Fisheries Act, and a report detailing evidence from the subcommittee’s investigation would have officially made the case for government intervention into market processes. The Water Management Framework, a joint document supported by both the Albertan and Canadian governments, has failed to do anything other than support a business-as-usual approach to the bitumen industry. A new approach, beginning at the very least with some form of intervention into synthetic oil production, is direly needed. Perhaps a report documenting impacts to fresh water would serve as a viable option for imposing such interventions, as it would give ammunition to public service agencies and officials with good intentions. Because the decision to ditch the parliamentary committee’s report was made during an in camera session, we do not know exactly what led to its demise, and thus we are left to conjecture. It is telling, however, that opposition MPs within the committee – such as the NDP’s Linda Duncan and the Liberal’s Francis Scarpaleggia – have promised to publish their own reports based on the collected evidence. Yet, these private member reports will neither have the legal sway or the general public impact that an official parliamentary report would. Like a trial witness taken out by the mafia before testifying, the findings in the committee’s water study had to be blocked from official documentation. Everybody knows that the Athabasca River and the Mackenzie watershed are adversely affected by development. By publishing the evidence within an official parliamentary report, the Conservative governments of Harper and Stelmach in Ottawa and Edmonton would face more extra-parliamentary mobilization and pressure for their inaction. By ditching the official report, the Conservatives have returned to disputing the evidence just as they always have. The federal wing of the ‘Great Machine’ of propaganda has done its job: doing whatever it takes to protect the production of bitumen, and whatever it takes to ensure that private capitalist interests continue to profit from the environmental destruction of Canada’s north and of the earth’s atmosphere. The Council of Canadians issued an action alert specifically regarding the publishing of the report. Their website contains the email addresses of those Members of Parliament who served on the subcommittee, as well as more info: www.canadians.org/campaignblog. The Polaris Institute-sponsored website ‘Tar Sands Watch’ provides a series of campaigns related to the ecological impacts of development: www.tarsandswatch.org/all-campaigns. The Rainforest Action Network has focused its campaign on shaming the financiers of dirty oil: act.ran.org. Greenpeace’s Tar Sands Campaign provides form letters to Premier Stelmach and Prime Minister Harper: www.greenpeace.org/canada. The ReThink Alberta Campaign is sponsored by a number of organizations. It attempts to threaten the province of Alberta into rethinking its development policy or face a boycott on tourism: rethinkalberta.org. Ryan Katz-Rosene is a PhD. student in Geography at Carleton University. 1. Ed Stelmach, Canadian Association of Petroleum Producers (CAPP) Oil and Gas Investment Symposium [Speech]. Calgary: June 19th, 2007. 2. Adam Albright, “Tar Sand Dreams,” Onearth, June 18, 2010. 3. Andrew Nikiforuk, “What Those Who Killed the Tar Sands Report Don’t Want You To Know,” The Tyee, July 15th, 2010. 4. Mary Griffiths, Amy Taylor and Dan Woynillowicz, Troubled Waters, Troubling Trends: Technology and Policy Options to Reduce Water Use in Oil and Oil Sands Development in Alberta, Drayton Valley: The Pembina Institute, 2006. 5. Peggy Holroyd and Terra Simieritsch, The Waters That Bind Us: Transboundary Implications of Oil Sands Development, Calgary: Pembina Institute, 2009. 6. David Schindler, W. Donahue, and J.P. Thompson, Running Out of Steam, The Munk Centre for International Studies and Environmental Research and Studies Centre, University of Alberta, 2007. 7. P.G. Nix and R. W. Martin, “Detoxification and Reclamation of Suncor’s Oil Sand Tailings Ponds,” Environmental Toxicology and Water Quality 7, no. 2, 1992: pp. 171 – 188. See also MacKinnon, Michael D. and H. Boerger, “Description of two treatment methods for detoxifying oil sands tailings pond water,” Water Pollution Research Journal of Canada 21, 1986: pp. 496 – 512. 8. Matt Price, 11 Million Litres a Day: The Tar Sands’ Leaking Legacy, Toronto: Environmental Defence, 2008. 9. Kevin P. Timoney, A study of water and sediment quality as related to public health issues, Fort Chipewyan, Alberta, Treeline Ecological Research, 2007. 10. David Schindler, et al., “Oil sands development contributes polycyclic aromatic compounds to the Athabasca River and its tributaries,” PNAS 106, no. 52, December 29, 2009.